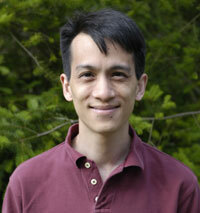 Ted Leung on the air : Opera Blogs?! Last week when I was walking through the kitchen, Julie stopped me so I could see the blog of Seattle-based classical singer Anne-Carolyn Bird (website). I popped the url into Firefox, but it has taken me a while to get to it. Anne-Carolyn's blog is a window into the life of an aspiring classical singer. It was pretty interesting to read her accounts of auditions, rehearsals, performances, and interactions with others in the music community. Via her blog I've found (but not yet gotten to) the blogs of a number of other classical musicians. There's a hook for me personally, because I did my humanities concentration in college in music, and I spent a lot of time in classical singing, albeit nowhere near the level of someone like Anne-Carolyn Bird. As I've recounted previously on this blog, I spent some time playing the violin when I was younger, but quit at what I now consider to be a premature age. Somewhere in junior or senior high school (during those years when the male voice is a dicey thing to begin with), one of my friends told me that I just couldn't sing. This of course, cured me of singing for quite a long time. The situation was remedied because a sister of a classmate heard me singing behind her in church one day, and she managed to convince me to try signing in a little singing group that had started out as part of the Spanish curriculum. From there it was the chorus and the school musical, and a few other things -- I even took some voice lessons from the choir director at our church. The year that I was admitted to MIT was the first year of a course for singers, Vocal Repertoire and Performance. The format was pretty simple. Five or six students, with a teacher, covering both vocal technique and the classical vocal repertoire. The teacher when I was there was John Oliver, who was (and is) the conductor of the Tanglewood Festival Chorus. Since John was the conductor of the MIT Chorale, I joined that, and got to sing some very large famous choral works, like Handel's Messiah, Beethoven's Missa Solemnis, the Verdi Requiem, the Bach Mass in B minor, and a few others. The MIT Chamber Chorus got started during the years that I was around, and I sang in that as well. I have very fond memories of all of that learning and performing, and I'm surprised that 20 years later I still remember parts to pieces that I have sung. As I read Anne-Carolyn's blog, I was reminded of experiences that I had during those years. When I read how she was working on arias, I remembered the various Lieder that I and my classmates worked on. Her accounts of working with voice teachers reminded me of they way that my teachers would say something that I didn't quite follow. Having read her blog, now I'm really curious to have a listen. Anne-Carolyn is moving into coloratura land this year, and I have a fondness for coloraturas in any range. When we did pieces for the MIT Chorale, the soloists were always professionals or folks like Anne-Carolyn. In particular, when we did the Messiah, John brought a soprano from Princeton whose voice was to die for. I distinctly remember him saying (at the end of the dress rehearsal) that "if she kept singing like that, she wouldn't be around very much longer". It sounds like Anne-Carolyn's signing is coming to the same place. Maybe you could brush off the cob webs and give us a performance at the next BIGeeks study group.